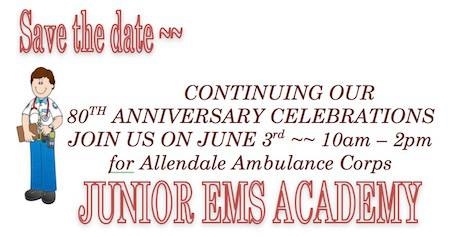 This year marks Allendale Ambulance Corps 80th Anniversary of serving the Allendale community. Enjoy some photos from our 80th Anniversary celebratory events in 2017. The dynamic Tuesday night duty crew did a stand-by at the Harlem Wizards game at NHRHS. Open House in May brought out members of our community to visit with AVAC, Allendale Fire, Allendale CERT and Allendale PD. Movie Night at Crestwood Lake --- postponed twice - but third time was the charm. A wonderful Allendale tradition -- 4th of July festivities and fireworks. The Tuesday duty crew was at the ready to help any residents or visitors. Family & Friends Picnic in July was filled with good food, friends, family and fun times. 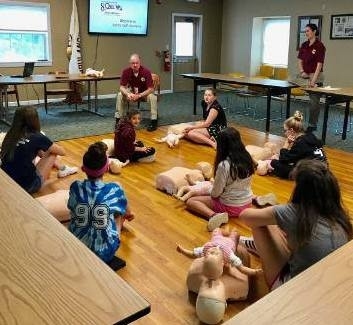 Initially started by a small group of Allendale residents the Corps started with a small core group of men, dedicated to serving our community. 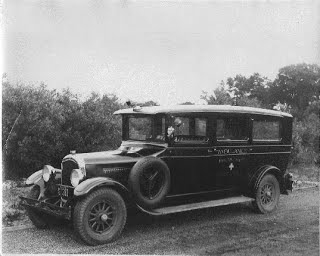 Our first ambulance was a 1926 Reo -- a pretty fancy machine for its time. Today, eighty years later, we continue what those men started - the commitment to provide pre-hospital emergency medical services to our Allendale community, without cost. Our unofficial motto of "neighbors helping neighbors" continues today with volunteers serving at Emergency Medical Responders, Emergency Medical Technicians and Driver / Lifters. Today our Corps members drive Horton International ambulances fully equipped to respond to any medical emergency.